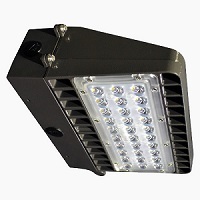 This led wallpack is part of the Paclights' F2WP series. It is design to have a slim shape and effective thermal management. This will allow you to have a reliable extended lifespan driver. It has a 5 year warranty and DLC approved.